I had been playing with different combinations of nail color lately and I really loved this combination of Teal We Meet Again and Read My Palm from Sephora by OPI's Havana Nights collection. I thought they'd look really cool in an ombre mani, but I knew my other ombre mani technique wouldn't really work with these polishes. 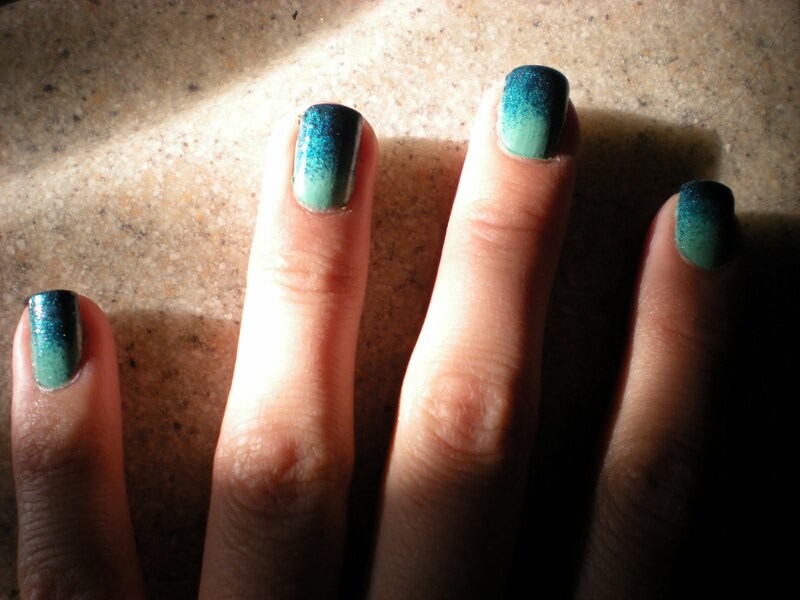 I've seen sponges being used to apply nail polish before and decided to give it a try. I did one coat with the Read My Palm and let it get really dry. 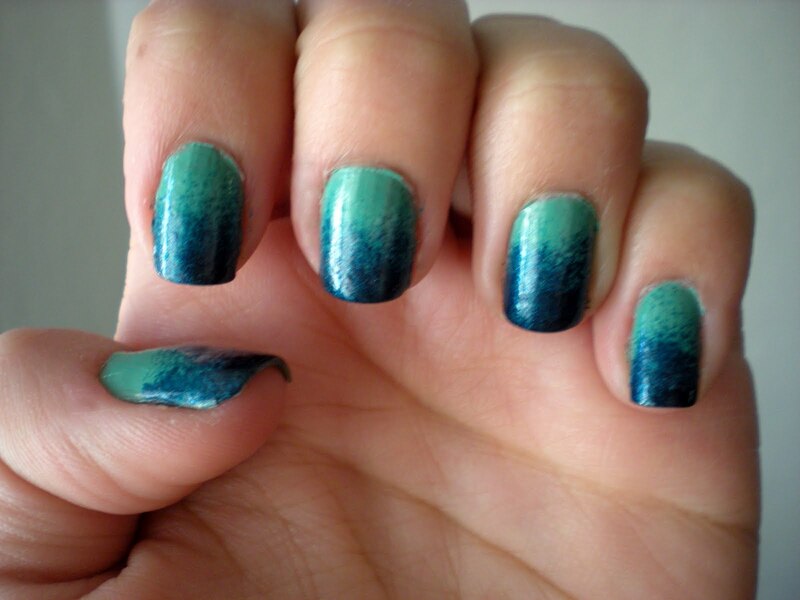 Next I poured a little Teal We Meet Again out into a dish, dipped my sponge into the polish and started dabbing at the tips of my nails, making sure to leave the bottom third of my nail alone. Once that was done, I used the Teal We Meet again to completely coat the very tip of each nail to deepen the ombre look. The sponge will get polish on your skin, so I used q-tips dipped in polish remove to clean up the excess. Last, I sealed it all up with a coat of Seche Vite. I'd love to see other color combinations, so I hope you'll all try it out and share your results. All you need is two colors of polish, a small bit of sponge, something you won't mind pouring polish onto, g-tips, nail polish remover and your favorite top coat. that's gorgeous! i'd pay you to do my nails anyday! Such a great idea.